Where nature meets leisure in a retreat that’s all your own. 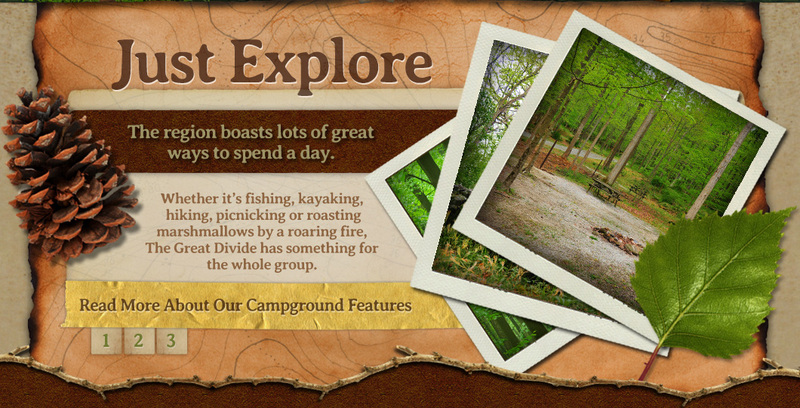 Nestled in the foothills of New Jersey’s rural Sussex County, The Great Divide is your gateway to fields, forests, mountains—and the finest in New Jersey camping and recreation. Adventure, relaxation, family time or solitude, you’ll find it here. 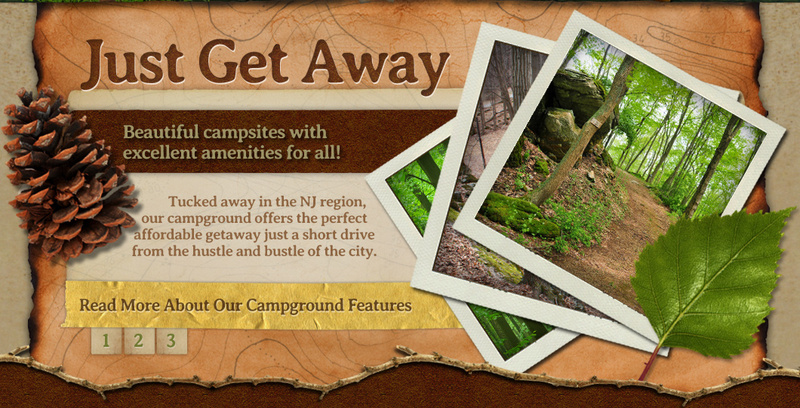 No matter what type of getaway you seek, we invite you to experience camping your way. With dozens of amenities and attractions, The Great Divide is the perfect vacation spot for families, couples and groups. Hesitant to leave creature comforts behind? We offer cabins and cable TV hookups. Prefer to ‘unplug’? Choose a primitive campsite and enjoy sleeping under the stars. From our Olympic-sized pool to our full schedule of family-friendly activities, there’s something for campers of all ages and interests. In addition to our beautiful locale, Great Divide visitors enjoy the hospitality of our friendly team. Each of them is passionate about protecting and enjoying the New Jersey outdoors—and they’re here to make your stay comfortable and memorable. Unforgettable experiences, friendly faces. They’re what draw people to The Great Divide, and what keep them coming back, season after season. Ready to escape the daily grind? Click here to view our calendar and book your getaway! Want to make a reservation quickly and easily? Click here to use our online booking service.